Day two of the Twelve Days of Doujinshi brings us a Cardcaptor Sakura doujinshi that DOESN’T feature Sakura and Syaoran for once! (I love those two as much as the next person, but you can only take so much of how much they LOVE each other, wow.) All joking aside, have a story about Touya and Sakura and their sometimes unhealthy sibling love for one another. Edited by ZippyZippy, typeset and translated by yours truly, and scanned by Melfra! Enjoy! 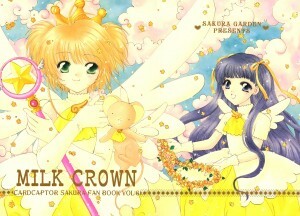 1 Comment on "The Twelve Days of Doujinshi, day two: Milk Crown"